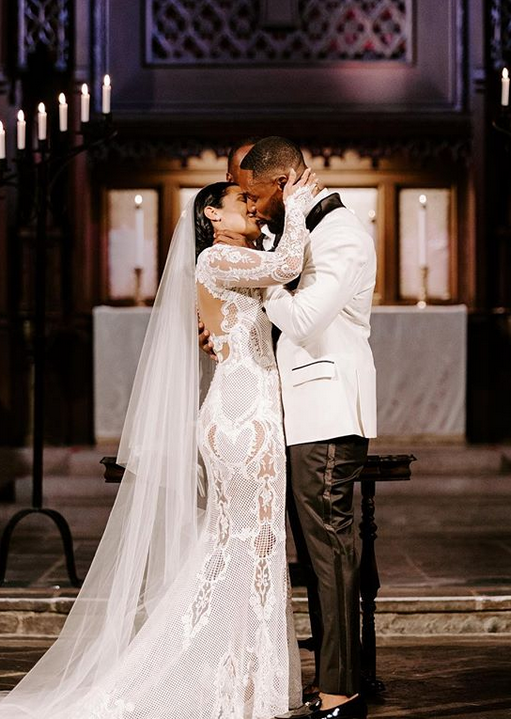 R&B singer Tank put a ring on it and wed his longtime girlfriend/children's mother Zena Foster in LA over the summer. 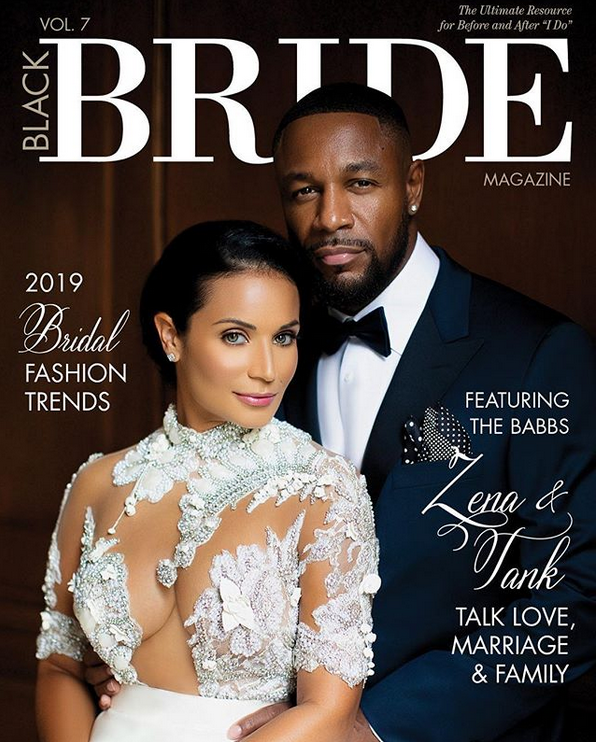 Now, the Babbs (Tank's real name is Durrell Babbs) are glowing on the cover of Black Bride magazine's Winter issue before the year is out. 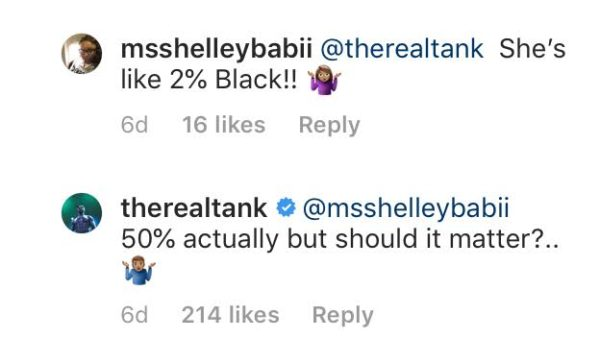 We already know what's you're thinking...she's NOT BLACK. Well, the R&B crooner says she is. 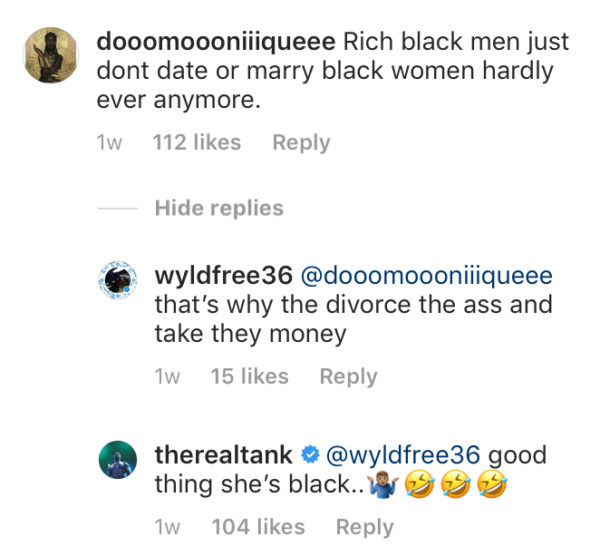 Earlier this year, folks were in his comments on Instagram questioning why he's not with a black woman and he schooled his fans on her race. He said she's bi-racial. The couple's magazine cover story hasn't been released just yet, but it's expected to make its way online soon. Back in June, Tank and Zena tied to knot in front of 200 of their closest family and friends in LA. The "When We" singer popped the question to Zena in early 2017 and they have reportedly been together since 2005. They share two kids, Zion and Zoey, together. Tanks has three other children from previous relationships. 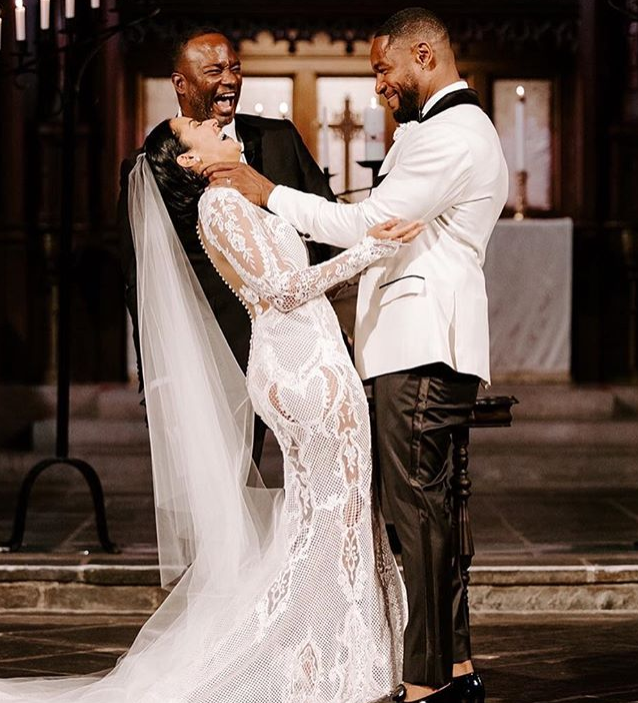 Many of their celeb friends were in attendace, including Kelly Rowland, LeToya Luckett, Michael B. Jordan, Jamie Foxx, 112's Q Parker and more, to share in the wedding festivities. The lovebirds were all wrapped up in love when they hit the dance floor for their first dance together to a special track titled, "Our Song." We honestly had the most fun we’ve EVER had and it was because of this man right here! @keithbattle was a blessing to us from the beginning and every step of the way since. We just wanna wish the man of God a Happy Birthday! We’re so happy you were born.. I’m sure you’re somewhere turnin up in your fancy birthday drip.. . We love you..